Came across a post on a Tumblr blog, apartness, that fronted a literary classic. 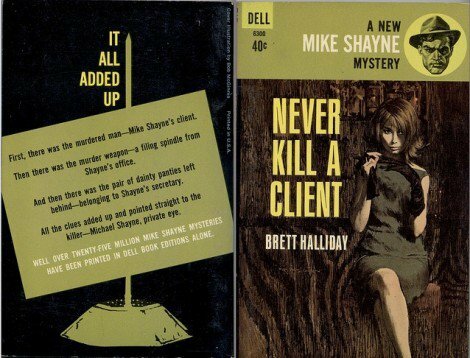 The book in question is called ‘Never Kill A Client” by Brett Halliday, and first published by Dell in 1963. You can also see a Flickr set containing this image. It wasn’t the book that caught my eye but the awesome title. A title just perfect for some idiotic tinkering by this creative individual. I doubt I am the only one with a cupboard full of dead clients–I think one or two might still be alive– and not to mention that the floorboards are getting a little full right now. I am happy to say that once I saw this book I started to see the error of my ways and I come before you to not preach but to pass on some valuable advice. No matter how frustrated you might get with a non-paying client or a client who has stolen one of your valuable ideas; killing them I now believe is a tad over-the-top. 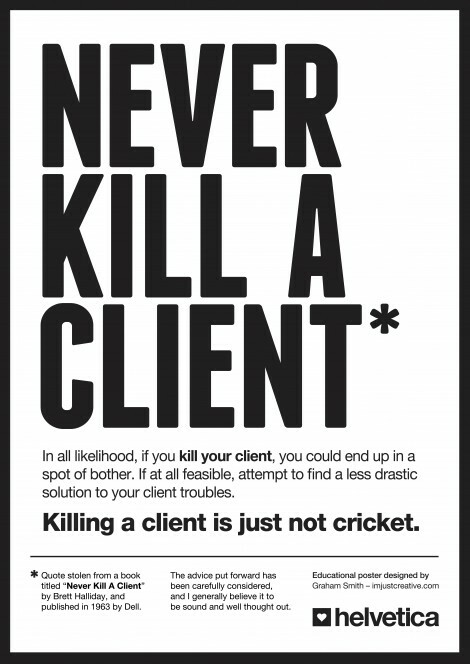 I have started to explore less permanent solutions to my client issues, and am happy to say I have gone 1 month without killing a single client. 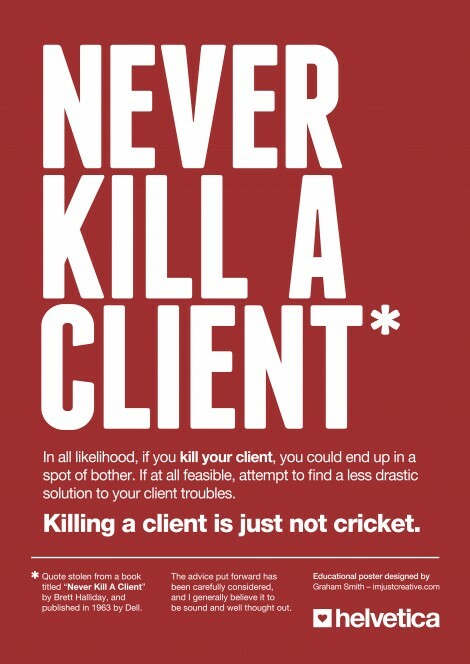 Never Kill A Client – It’s Just Not Cricket. The brilliant and free Franchise Font by Derek Weathersby was used for the leader whilst Helvetica Neue was used for all other body copy. If you want to you can download a vector file of this poster or you can just grab the images in this post as they are reasonably high resolution JPG’s. Feel free to mess around with the colours in the base Illustrator file BUT please leave the content and sign-off intact. If you wish to reblog this then by all means please do so BUT ensure you direct your readers to this post for any downloads. I am not a poster designer but I have a few other poster designs that I have cobbled together than you may find fun. These include a personal favourite: No. 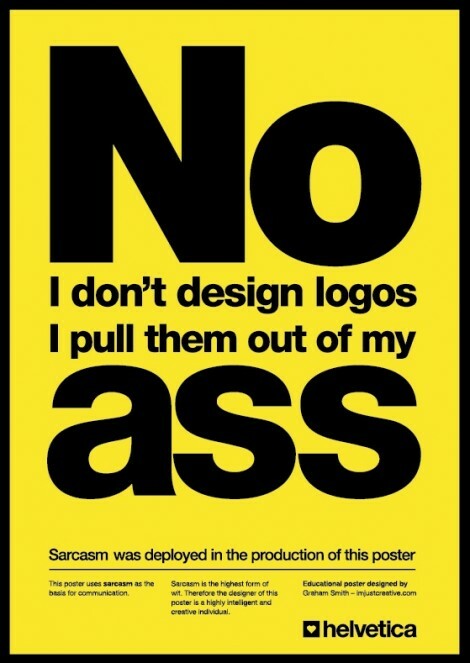 I don’t design logos.